Remember when you could rent New York City’s famed Woolworth mansion for $150,000 a month? That’s nothing compared to the asking rental price for the famed Beverly House in Beverly Hills, Calif., which will cost you a jaw-dropping $600,000 per month, according to Curbed LA. At that price, it’s the most expensive rental in the U.S.
What makes the mansion so special? 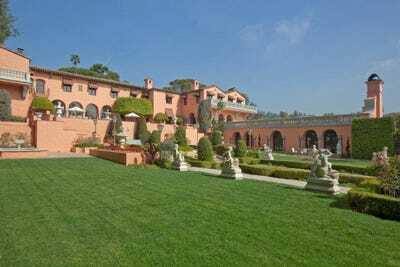 Besides the fact that it’s absolutely gorgeous with 50,000 square feet of living space, 29 bedrooms, 3.7 acres of original landscaping, and an Art Deco nightclub (seriously), the property listing on Hilton & Highland says the house was designed by famed architect Gordon Kaufmann. It was originally built in 1926 for banking executive Milton Getz. Then in 1946, actress Marion Davies bought it for William Randolph Hearst who lived out the rest of his life here. 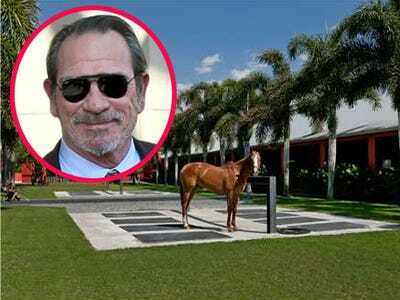 Other famous guests include John F. Kennedy and Jackie O., who stayed on their on their honeymoon, and the fictional producer Jack Woltz in The Godfather, who woke up to find the severed head of a horse in his bed — an offer he couldn’t refuse. Prefer to buy? The place is also listed for sale, at a whopping $115 million. 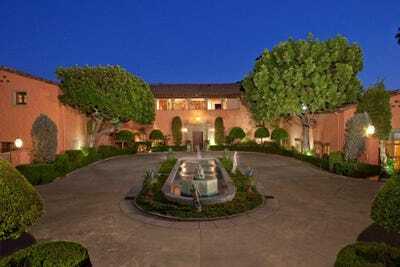 Welcome to the legendary Beverly House where JFK, William Randloph Hearst, and Milton Getz have all lived. 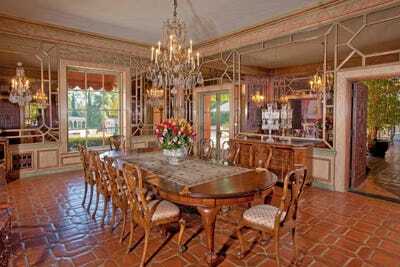 The mansion is only three blocks from Sunset Boulevard, and sits on 3.7 acres of property. 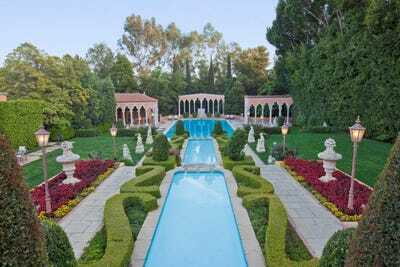 The landscaping was done by Paul Thiene, and is dotted with fountains, pools, and Venetian columns. The waterfalls lead to the gorgeous pool, which looks back up towards the home. The house is H-shaped and is a combination of Spanish and Italian architectural styles. 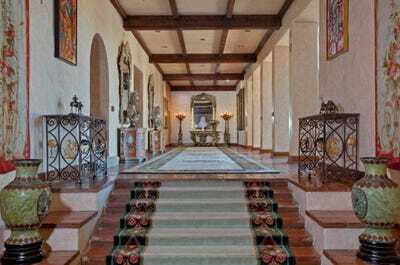 The inside of the home is just as grand as its exterior, with 22-foot-high detailed ceilings. The living room has wood walls, a fireplace, and gorgeous windows that look onto the veranda. In addition to this formal dining room, there's also an outdoor terrace that can accommodate up to 400 for sit-down dining. The library has a second story wrap-around balcony and a huge wood-burning fireplace. 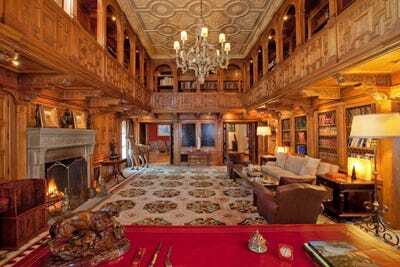 And the billiard room has herringbone parquet floors as well as a carved stone fireplace mantle from San Simeon.